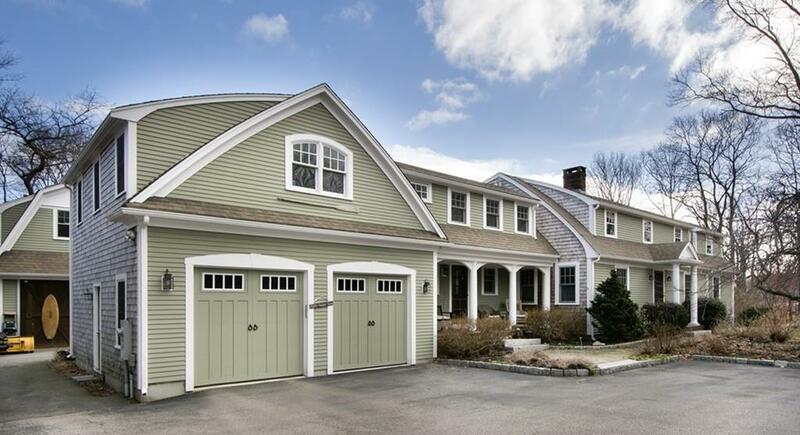 This much-admired expanded Cape located between Minot & N.Scituate Village seamlessly blends the old with the new. Recent significant additions produced a home designed from top to bottom w/classic style, artisan workmanship & quality in mind. The chef's kitchen w/island, casual dining area & stone-hearth fireplace leads to a sunlit family room w/vaulted ceiling, built-ins & walls of windows. The living room w/fireplace & and adjoining playroom lead out to a gorgeous 3-season retreat w/huge stone fireplace. Upstairs are 4 BRs including a MBR suite w/designer tile bathroom, walk-in closets, laundry & gas fireplace. No expense was spared on the rich finishes throughout - wainscoting, chair rails, high-grade windows, custom built-ins & newer systems. Casual elegance defines the exterior featuring a spectacular pool area w/heated saltwater pool, stone patio w/fire pit, lush lawn & garden area, outdoor shower & majestic 2-story barn with w/workshop & rec room. Live the good life!